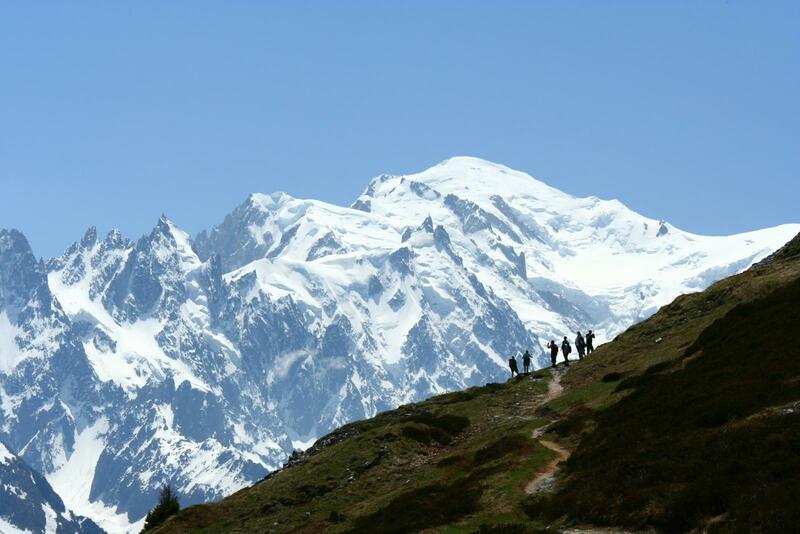 The circuit of Mont Blanc is one of the finest walking / trekking routes in the Alps. It is in reality a series of paths linking the seven valleys that surround the highest mountain in Western Europe, Mont Blanc. To complete the whole circuit normally takes a fortnight, but for those with less time this one-week tour takes in the most outstanding sections with beautiful mountain highlights each day. 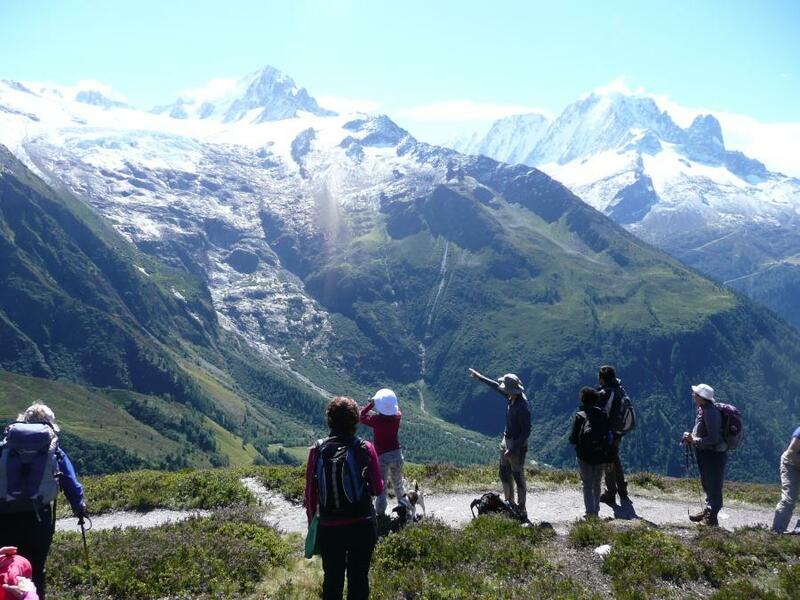 Throughout this small group guided holiday (4-14 people) you are based in the delightful Chalet Chamonix with dramatic views of Mont Blanc and use private buses to travel out each day to re-join the next stage of your walk covering beautiful sections of the famous circuit. At the end of each day you'll return home for afternoon tea or for those who wish a dip in the chalet’s bubbling Jacuzzi. 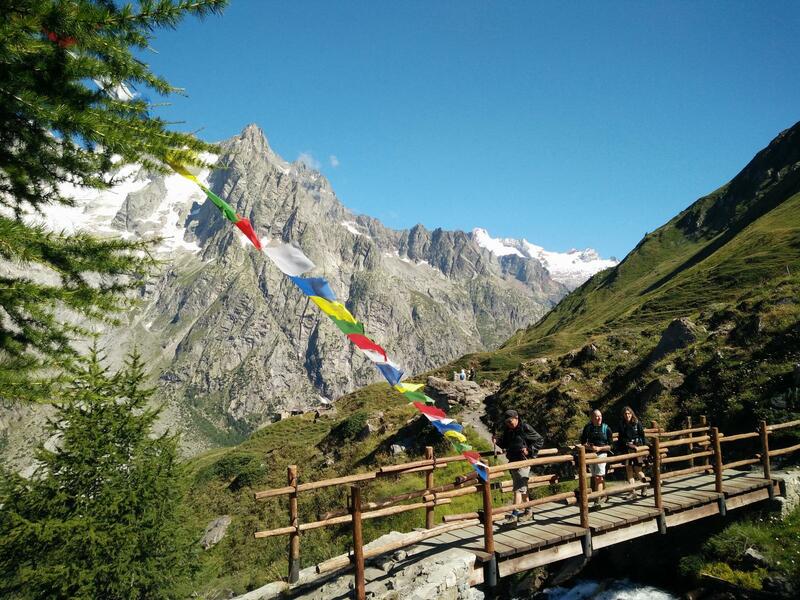 The comfortable and modern chalet has en suite rooms throughout and a pleasant open plan lounge with south facing panoramic windows and balcony overlooking Mont Blanc. 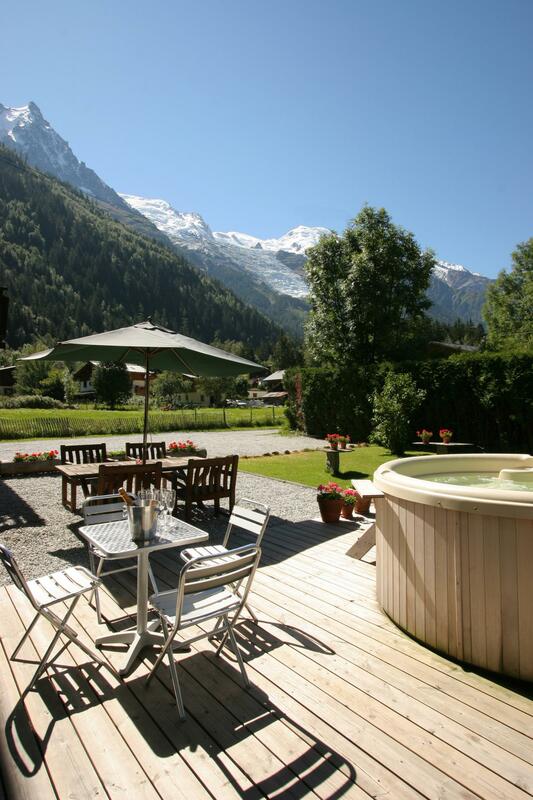 Surrounded by a private garden with Jacuzzi and just 15 minutes walk into Chamonix, Chalet Chamonix is the perfect base for walking the best of the Tour du Mont Blanc and a relaxing week in the Alps. 2 bedrooms on the top floor have Velux windows set into a gradually sloping roof. Half the room has a full height ceiling while the beds are positioned under the sloping section. Please note: these two rooms will be allocated to the last 4 people to book. Single rooms are not available.